Ongoing deals to top Broadway (& Off-Broadway) shows available every week. Although the TKTS booth offers great discount tickets to same day shows, sometimes you want to be able to plan in advance. Or perhaps there's a particular show that you'd like to see and you want to make a special trip to the city just for that show. There are fantastic online services that offer Broadway and off-Broadway bargains in email newsletters and online. The folks who offer discount tickets via the booth also have a membership program that offers substantial ticket savings. You'll have to qualify for membership based on your career/employment status, but once you do there are regular opportunities for deep discounts on Broadway, off-Broadway and even some musical productions. Read my complete article about TDF Membership to learn more. Playbill Online offers news, articles and reviews of the latest Broadway and Off-Broadway productions. You can find complete listings of productions in New York City on their website. With free membership to the Playbill Club you will receive weekly updates for deals on various productions. Signing up for the club is easy and you'll be pleasantly surprised by the deals you receive. Through my Playbill Club membership, I was able to get tickets to a Sunday Matinee of Chicago for $45 each and I was alerted to a special promotion for Rent where I was able to get $20 tickets for a particular production. 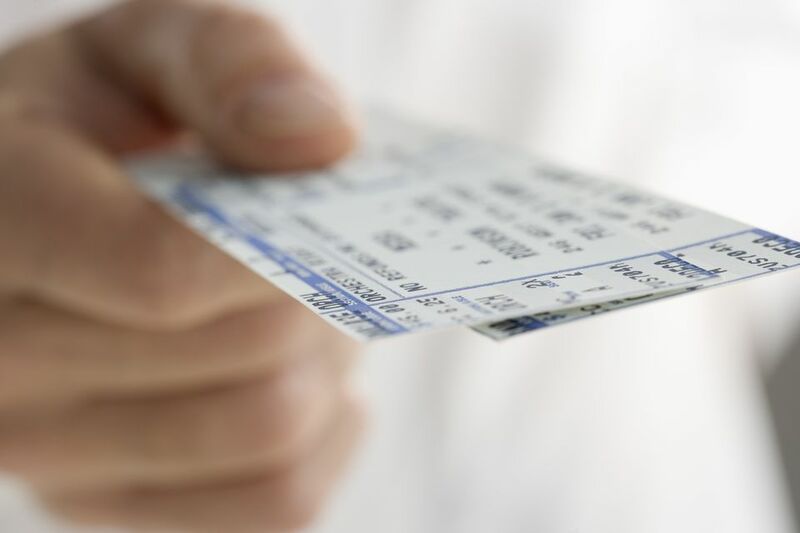 One of the best features of the Playbill Club is that you can order tickets at the discount prices through Telecharge, or save yourself the handling fee and print up the offer and go directly to the box office. This week's deals announced by Playbill.com include $49 tickets to one night's performance of Proof; half-price tickets for the next month's (Saturday nights excluded) performances of Contact; $65 tickets (some restrictions/blackout dates) for Sweet Smell of Success; and discounts on dozens of other Broadway and Off-Broadway productions. TheaterMania has a special same day discount area where you can reserve discounted seats for same day performances. Tickets currently listed are at a 40-50+% discount off regular ticket prices. There is a $4.75/ticket reservation fee, which will be charged to your credit card online when you reserve the tickets. The ticket price must be paid at the box office when you pick up your tickets. You'll have to print out the reservation confirmation and bring it to the box office two hours before curtain. Gold Club is the exclusive discount club that TheaterMania offers. Comparable to the Playbill Club, TM Insider has an array of tickets available for advance sale at discount prices. A sample week's listings included seven Broadway shows and 15+ Off/Off-Off Broadway productions with savings up to 45%. New York Show Tickets offers members ($4/month) access to special discount codes, and also does a good job of highlighting the various Broadway discounts that are available for particular shows. You'll have to pay to get the full details, but the overview page is free to access and will give you a sense of the savings you might get if you join. I'd recommend trying other venues first, but if you're looking to buy tickets for multiple shows and/or you're a regular theater-goer, the membership is just a small fraction of the cost of Broadway tickets and it may be worthwhile. They also offer information on parking, TV show tickets and comedy shows, for a small membership fee. The titles available through these services vary from week to week and you may find that one club is promoting a deal on a show while the other is not. I've been subscribed to these services for over a year now, and I've found that with a little patience, I can almost always find tickets to a show I'm interested in seeing (not true for very popular hits like The Producers). Consider printing the offers out and bringing them to the box office to save on handling charges from online and phone orders. If you're a theater buff and want to save some $ while indulging in New York City, the Playbill Club, TM Insider, and Hit Show Club can be a great help! Do You Know What a Broadway Theater Really Is?